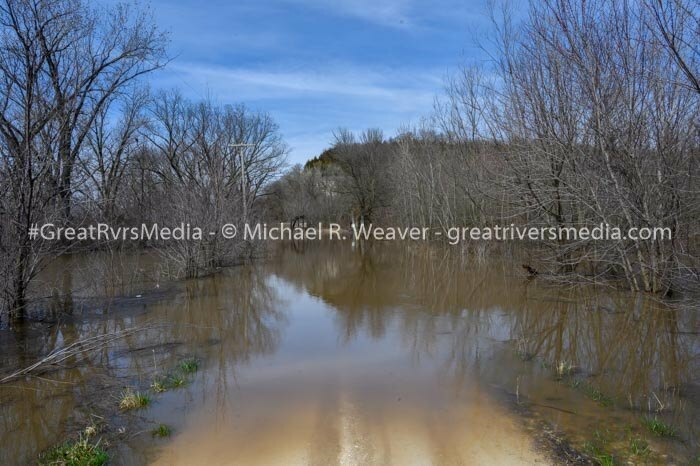 HARDIN - River levels crested here at mid-week throughout the area with rain in the forecast for Thursday. The other factor not yet known is melt runoff from the north and what that might do to levels in coming days. 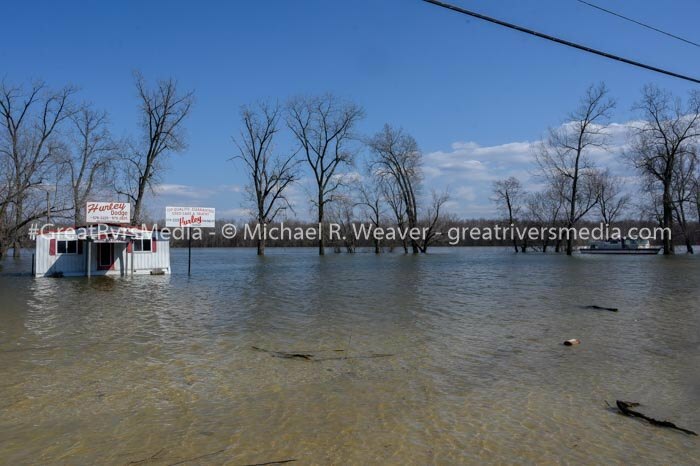 However, today the Mississippi River crested at 31.9 feet in Alton at 8 p.m. and is projected on a downward cycle. 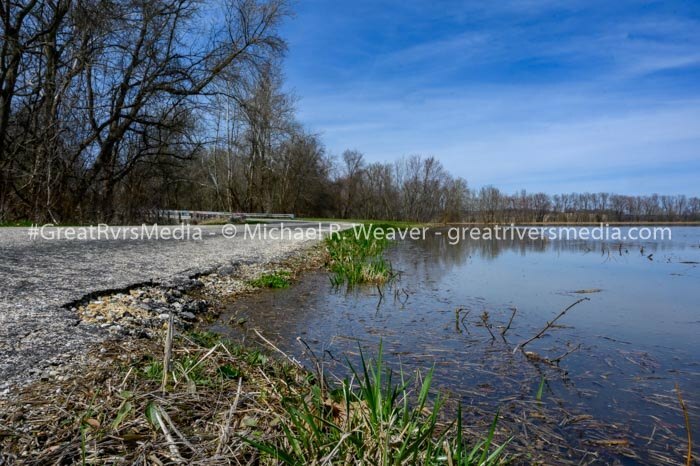 By 8 p.m. Saturday, it is projected at the moment to be at 29 feet., moderate flooding. 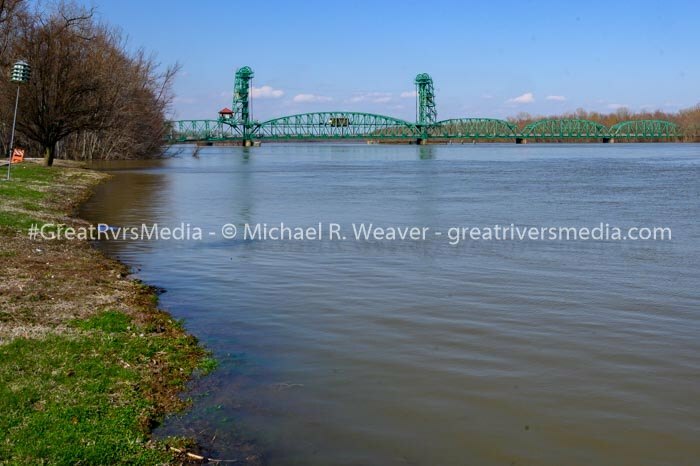 The Mississippi River at Grafton is 28.8 feet at 8:30 p.m. today and projected to be at 27 feet by 8 p.m. Saturday. 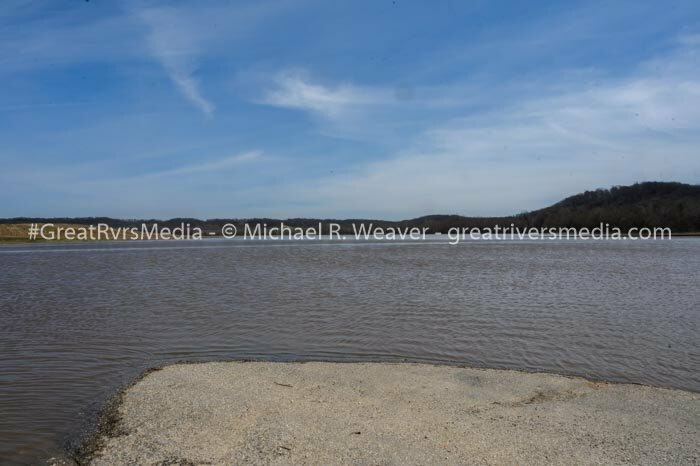 The river at Grafton will fall at a slower pace than at Alton. 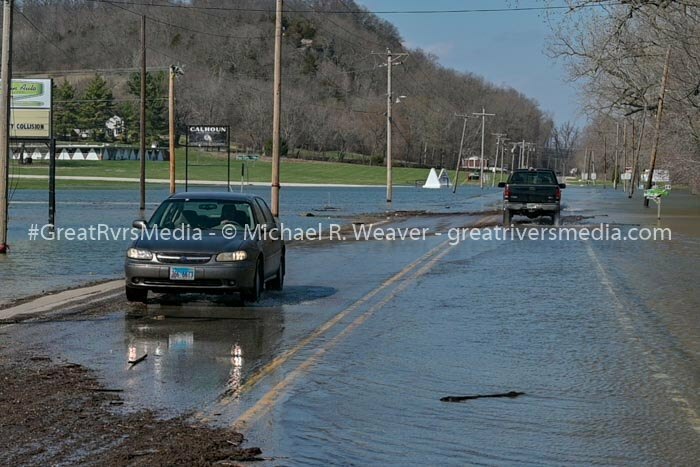 Major flooding at Grafton is 29 feet. 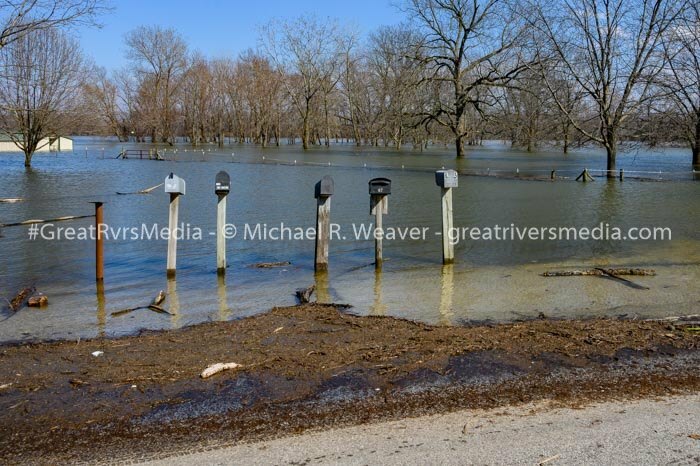 The Illinois River at Hardin is at 34.16 feet at 8:30 p.m. with a flood stage of 25 feet. 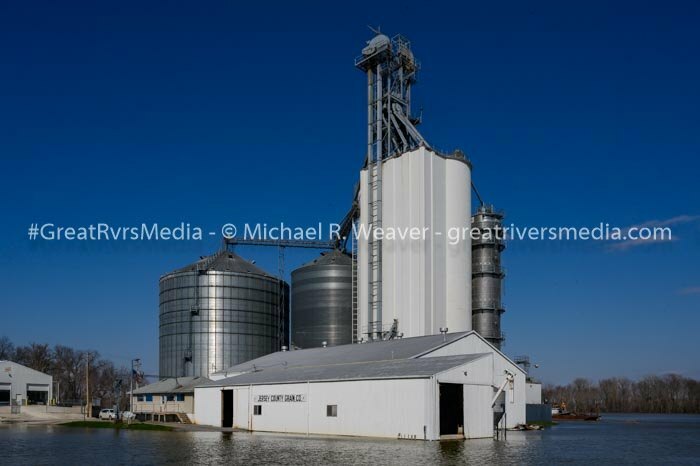 It is projected to be at 33 feet by 8 p.m. Saturday, so again the descent will be at a slower pace than the Mississippi at Alton. 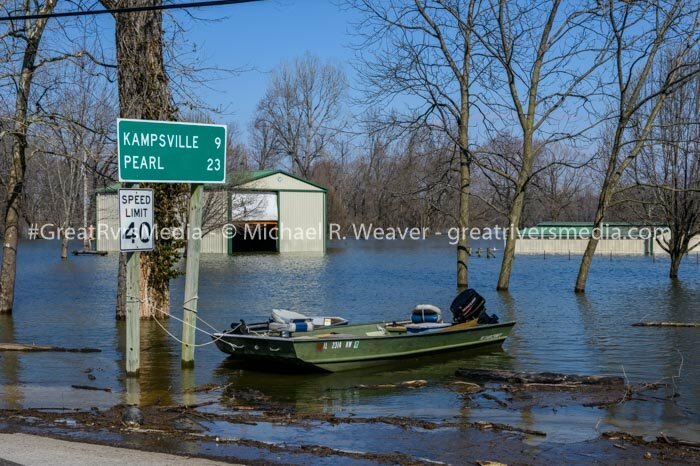 For Hardin, 32.0 feet is major flooding. Riverfront Park in Alton is closed at the moment because of snakes and debris. Route 100 at Broadway in Alton is also closed. 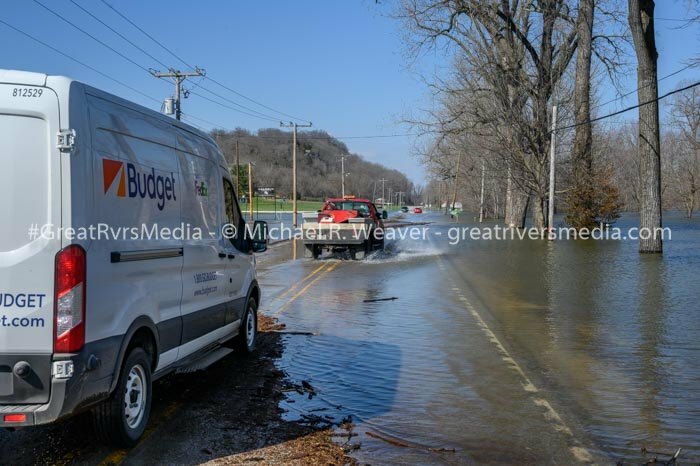 The Illinois Department of Transportation announced road closures due to flooding within District 8: IL 3 at IL 100 in Grafton; IL 96 at IL 100 in Calhoun County; IL 100 from Hardin to Kampsville; IL 3 at Mary’s River to the levee at Cora /Jackson County Line (updated); IL 100 from US 67 to Williams Street in Alton (updated); IL 100 from IL 3 to Stump Lake Road in Grafton (updated). 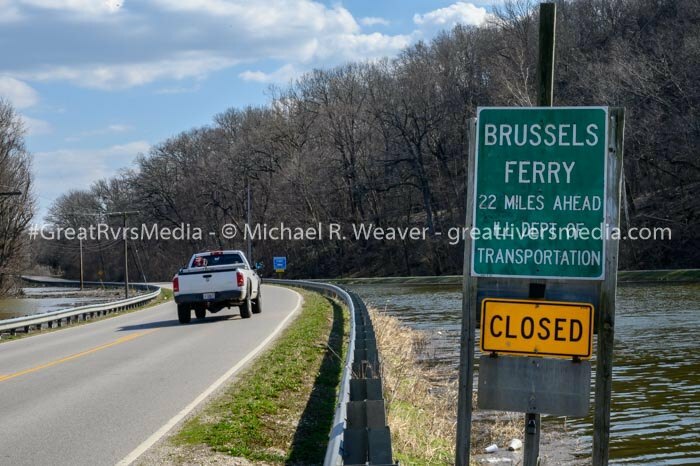 The following continue to be closed: BRUSSELS FERRY; KASKASKIA STREET and IL 3 TRUCK BYPASS (Water Street) in Chester; IL 96 from the junction of County Highway 2 to Crooked Creek Hollow Road near Mozier; Southbound traffic on US 67 at the Clark Bridge, near West Alton, continues to be shifted to the northbound lanes; all lanes of IL 155 outside of Prairie du Rocher.